GReads! 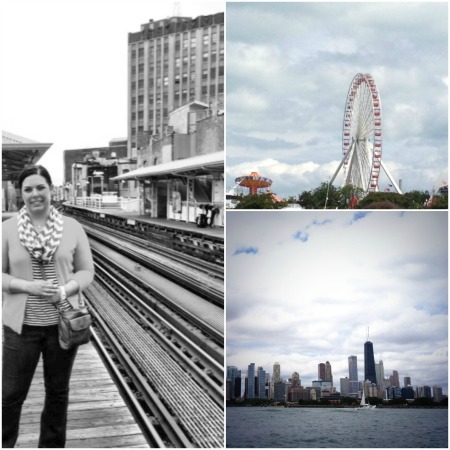 : Sweet Summertime Reads: Oh Hello Chicago! 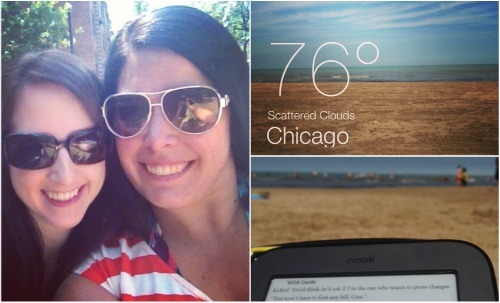 Sweet Summertime Reads: Oh Hello Chicago! 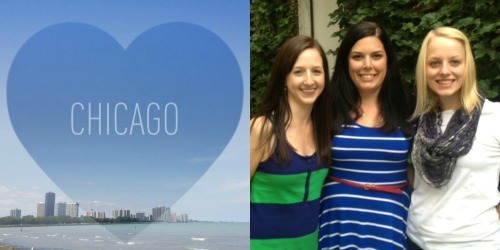 I recently took a trip to Chicago to visit my friends Tara & Anna -- two girls that I met because of books & blogging, but now call two of my very best friends. I love the city of Chicago (this was my second time visiting), & I had the best tour guides to show me around. So many laughs were had.. delicious food & drinks were devoured... and plenty of memories were made to last a lifetime. I adore these girls & had THE BEST time visiting! A visit to the "beach" was a must-do on my list while in Chicago. Tara took me to her neighborhood beach, where we unloaded our cooler of snacks & drinks, laid out our beach chairs, and sat back & relaxed under the sun. I had plans to read my nook while I was there, but we both were too busy people watching! It was a beautiful day for all of the above. A visit to the bookstore was another must! This particular bookstore was awesome because not only could you browse the bookshelves for your new favorite reads, but they also had a cafe area with adult beverages. Books + Booze! 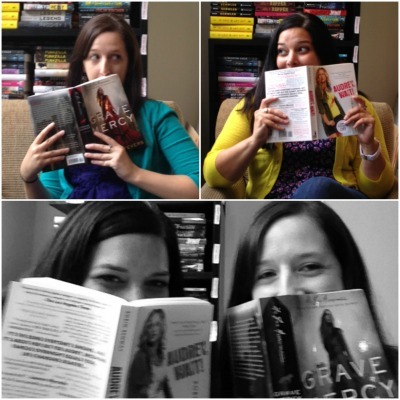 Tara & I had a little too much fun taking pics of ourselves with books we love. Whenever I go on vacation, food + drinks is always something I look forward to. Chicago has some of the best restaurants I've ever been to. 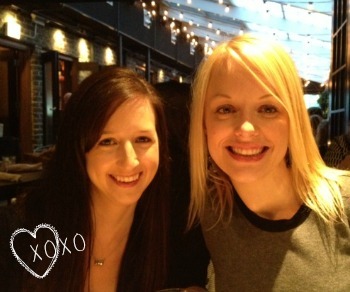 Anna & Tara introduced me to their favorite brunch spots, as well as a delicious tapas restaurant. 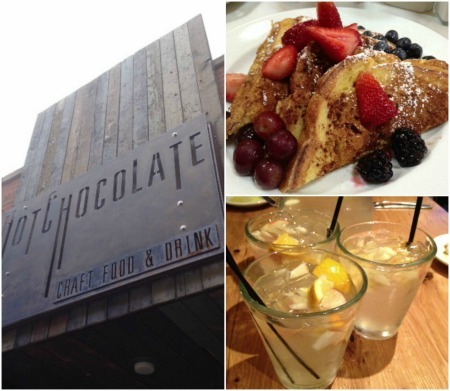 The above pics are just a few of the delicious food + drinks I devoured while in the city. Lots of sightseeing was to be had! We took a boat tour up & down the Chicago River, that led out into Lake Michigan. It was the perfect spot to capture beautiful photos of the city skyline. I spied the ferris wheel on Navy Pier that of course made me think of Four & Tris from Divergent! I cannot thank Tara & Anna enough for opening up their homes to me and showing off their beautiful city. This vacation was just the right amount of relaxing fun I had been hoping for and I can't wait to visit again soon! Have you ever been to Chicago? If so, what is your favorite thing to see & do in the city? Have you been on any vacations this summer? Tell me about the places you've visited in the comments below! So awesome. 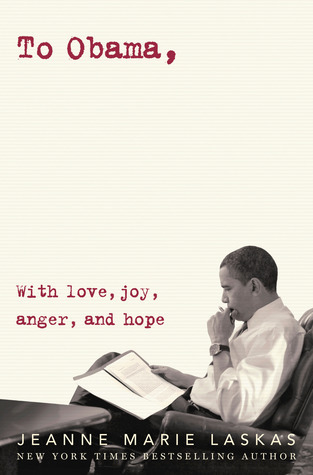 Even more awesome is how books brought y'all together. Chicago looks so beautiful! And it seems everyone who lives there loves their city. So glad you had a good time, G! I feel so lucky to LIVE in chicago! i'm obsessed with everything about this city, from the food and bars to the beautiful skyline and our awesome used book stores. speaking of book stores, how do i not know of a bookstore that also serves adult beverages?! what is the name of it? so glad you enjoyed your time here! Thanks for sharing these! I knew you would have a smashing time but it's great to see the evidence. James went to Chicago once for a business trip, and he loved it. Plus we have some friends who live there so I'm hoping to go there for longer than an hour layover (like I had this week). Happy times with happy friends is what I love to see! I went to Chicago for the first time in April and I really liked it. I think my favorite thing that I did was going to the Art Institute, I loved their American art collection. I also thought of Tris and Four when I went to the Navy Pier and when I saw the El running above ground :) Looks like a great trip!